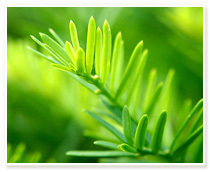 Welcome to our media page. On this page you can view the latest press releases and media articles about the Nottawasaga Resort. Please read through the articles to learn more about what is ongoing at the resort as well as view any recent awards we have received. The Nottawasaga Resort is celebrating 50 years of exemplary service, success and accomplishment within the Alliston community. What once started as a friendly wager amongst friends resulted in the inception of this innovative, internationally recognized and award winning destination Resort & Conference Centre which is fully self sufficient and green. Lou Biffis, a once poor Italian farm boy, emigrated to Canada wearing broken shoes and with very little skills, worked relentlessly doing construction jobs until he acquired and operated a sod-farm 75 km Northwest of Toronto in the small town of Alliston with a vision of opening an Inn. A friend bet him a bottle of Canadian Club Whiskey that he would not be able to obtain the liquor license in the township that had been dry since 1907. Lou went against all odds, winning a municipal plebiscite to allow liquor licenses in Tecumseth Township in 1967 and that bottle of Whiskey (which he still has) and began construction of the Inn, completing most of the work personally and in a mere 8 months. Mr. Lou Biffis, the President and Founder of the Nottawasaga Resort, was awarded with the Georgian College Board of Governors' Honorary Diploma at a convocation and reception held at the Barrie Campus. The Honorary Diploma honours external candidates who have made a major contribution to an academic program at Georgian College. Lou Biffis and the Nottawasaga Resort have played a key role in the Simcoe Hospitality Awards Gala which aims to raise scholarship funds that will directly support students in the Georgian College School of Hospitality, Tourism and Recreation programs. 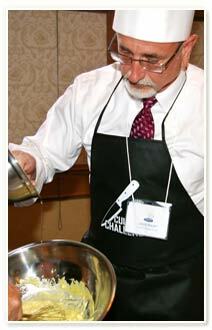 To date, over $60,000 in scholarship funding has been raised through the annual event. Mr. Biffis, has also been a strong supporter of the College's co-op and alumni programs since 2011, and has placed and employed over 300 students at the Nottawasaga Inn Resort and Convention Centre. Currently, four Georgian graduates are in supervisory and management roles within the Resort. We are proud to announce and recognize our team members who were awarded at the 2018 Simcoe Region Ontario Restaurant Hotel & Motel Association (ORHMA) Hospitality Awards. Anne Macdonald: Favourite Bartender, Rose Maier: Favourite Server, Carolyn Johnson: Favourite Accommodations Agent. In back from left - Doug Banks & Jake Dyck: Operations Heroes, Tim Goodier: Heart of House, James Day: Silver Plate Award for best dish of the evening! Congratulations to all the recipients and nominees. The Nottawasaga Resort debuted a functioning memorial at the Center Ice Sportsplex in support of the Humboldt tragedy victims. The Resort, with the help of graphic design companies, Mazzuca Dpi Inc and Arc Woodbridge designed and built the structure to feature the Humboldt Broncos' team colours and logo as a place where residents of the community who are looking to honour the victims can visit and leave a hockey stick in memoriam. The Humboldt Broncos, a Junior Hockey League team from Humboldt, Saskatchewan were en route to a semi finals game when the team's bus that they were traveling in and a semi-trailer collided on April 6th 2018. The crash took the lives of sixteen people, including ten players and left another thirteen people injured. We are pleased to share that Mr. Lou Biffis, the President and Founder of the Nottawasaga Resort, received the Pro Ecclesia et Pontifice Cross Medal which was issued by the Holy Pope Francis, at a ceremony held at St. Michael's Cathedral Basilica in Toronto. Mr. Lou Biffis received this recognition for his generosity in spirit in caring for others, for his contributions to the Church, for reaching out and building bridges within the community and for following the example of the Lord and being a servant of God. The Pro Ecclesia et Pontifice Cross medal, which is also know as the "Decoration of Honour", is an award of the Roman Catholic Church and the Pope. It is the highest recognition the Pope can bestow upon an active member of the parish who demonstrates extraordinary, exemplary virtuous, public witness to the Catholic faith and in the greater world and is considered among the top honours the Vatican awards to laity and clergy. We are proud to announce that the Nottawasaga Resort was honoured as the best in Simcoe County for Favourite Accommodations and Tourism Facility at this year's 2017 Simcoe Region Ontario Restaurant Hotel & Motel Association (ORHMA) Hospitality Awards. 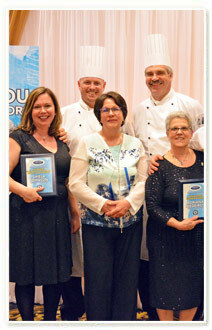 We would like to congratulate and proudly recognize the following team members who were also recognized and took home top awards: Favourite Server Award Winner: Adriana Medeiros, Favourite Hospitality & Tourism Ambassador Winner: Shiela Johnson, Heart of House - Legacy Award Winner: Elaine McDermott. Thank you to everyone who voted! The EIA Innovation and Continuous Energy Improvement Awards, held at the International Centre in Mississauga, recognized companies for their environmental efforts as an entire facility or organization. Nominees were selected by their utility and winners were chosen by a committee comprised of representatives from various electric and gas utilities. The Nottawasaga Resort was honoured with the Innovation Award for Commercial (1MW +) from PowerStream territory for our demonstration of innovation and commitment to creating a culture of energy conservation within the resort. We are committed to protecting the environment and we have had an active and evolving environmental program in place for more than 40 years that encompasses all areas of the hotel including management, employees, guests and the public. The Ontario Hotel Motel and Restaurant Association hosted its first ever Culinary Challenge June 13, following its annual general meeting at the Nottawasaga Inn, Alliston, Ont. 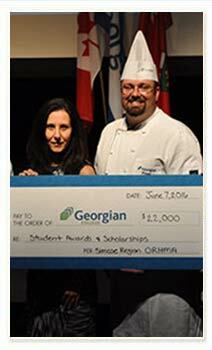 The Ontario Restaurant Hotel and Motel Association (ORHMA) Simcoe Region recently donated $22,000 to the college to support student scholarships and stipends for Georgian's Culinary, Hotel and Resort, Tourism and Travel, and Event Management programs. 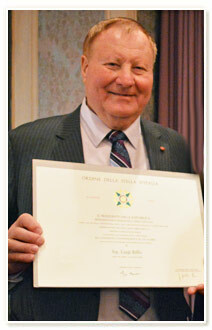 We are pleased to share that on December 11, 2015, Mr. Lou Biffis, the President and Founder of the Nottawasaga Resort, received the designation of Cavaliere dell'Ordine della Stella d'Italia (Knight of the Order of the Star of Italy) by the Consul General of Italy, Giuseppe Pastorelli in a private ceremony held at the Nottawasaga Resort. This Order of Knighthood is a National Order that confers honour in recognition of outstanding contribution to the Italian Republic in the preservation and promotion of national prestige in Canada. 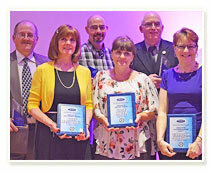 The 18th Annual Business Excellence Awards, which took place on April 23, 2015 at the Gibson Cultural Centre, recognizes excellence, outstanding achievement and customer satisfaction in small, medium and large businesses in South Simcoe. 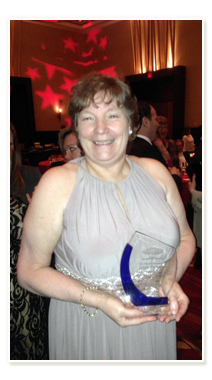 The Nottawasaga Resort was honoured to receive the Quality Award for Large Business at this year's awards. The Quality Award recognizes businesses that successfully apply the principles of quality management in their search for customer satisfaction and financial success. Over 150 people gathered for the event, including area mayors, deputy mayors, councillors and community leaders, which was hosted by the Town of New Tecumseth in partnership with Nottawasaga Futures. For this year's awards, 218 nominations were received in 13 categories. Twenty judges reviewed the nomination applications, representing the province and all four South Simcoe municipalities, to select the winners. Throughout the entire March Break the Resort is offering a fantastic line-up of fun and entertaining family activities which are great for all ages and activity levels. Kids will enjoy non-stop fun with free and pay-as-you-go kid centric activities including sports, crafts, high energy activities, mellow movies and bonfire nights, skating and so much more! 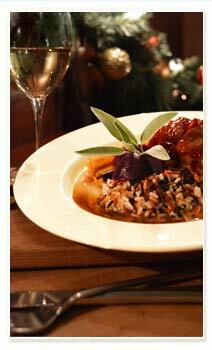 Chilly winter days call for warm comforting meals. In developing this recipe I wanted to create a dish that was hearty and delicious, incorporating all of the rich flabours that I associate with winter - apples, cranberries and maple. That's generally the sentiment of a first time visitor to the Nottawasaga Resort. Not only does this sprawling Resort offer a multitude of activities and amenities; it's also not nearly as far away as you might have thought. ORHMA president and chief executive officer Tony Elenis noted that the 160 people in attendance all work in some sort of building, but it's the people who work there that drive its success. After undergoing an extensive design transformation in early 2014, the newly renovated Riverview Room, at the Nottawasaga Resort, has re-opened its doors to the public with subtle and organic elegance. With a design that seamlessly integrates modern architecture with the resort's organic and natural setting the Riverview Rom beautifully enhances the scenery of the surrounding Nottawasaga Valley. Based on a personal passion for soccer Lou Biffis, President and Founder of the Nottawasaga Resort, added an international size soccer pitch in the early 1970s. The field drew the attention of the Canadian Soccer Association, who started to use the hotel for training of the men's and women's national teams. It also drew Olympic and national teams from around the world for training sessions before the 'big game'. In his wonderful self-effacing way, Lou shared with us the story behind the Nottawasaga Inn Resort and about his housing developments Green Briar, Briar Hill and the newest development Treetops. One of the largest resorts in Canada with the most facility, sport and recreation it’s an incredible place to spend some time. We are pleased to announce that Lou Biffis, the President and Founder of the Nottawasaga Resort, has been inducted into and received a permanent star, on the Italian Walk of Fame Saturday, June 15, 2013 in Little Italy on College Street in Toronto. The Italian Walk of Fame aims to contribute to the cultural awareness, preservation and education of Italian heritage by recognizing and celebrating the achievements of Italians who have excelled within their respective fields both locally and globally. The inductees share a common spirit and vision and they have all distinguished themselves with their accomplishments across a variety of industries. On Saturday, Lou, along with three other inductees, received a permanent home within the esteemed line-up of stars. For more information visit the IWOF website. 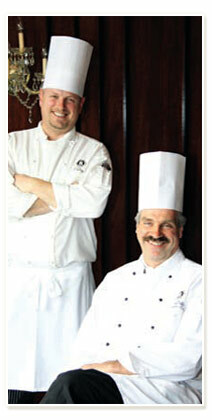 We're delighted to announce that two of our staff members have been awarded a 2013 Simcoe Region Ontario Restaurant Hotel & Motel Association (ORHMA) Hospitality Award. Judy Benzies, our Laundry Supervisor, took home the ORHMA Simcoe Region Industry Legacy Award for 37 years of dedication and hospitality service and Frankie Emerson, our Food & Beverage Manager, was awarded the Hospitality Manager of the Year. Sous Chef James Day was also nominated for Local Chef of the Year and participated in a special "Silver Plate" competition during the VIP cocktail reception. 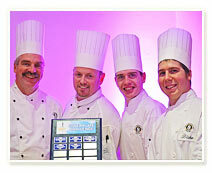 The 2013 Simcoe Hospitality Awards celebrates hardworking men and women who make Simcoe County hospitality great! Congratulations to all the nominees and winners on your achievements. 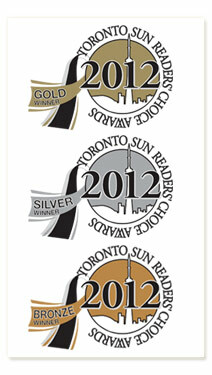 As announced in the Toronto Sun, the Nottawasaga Resort has again taken top honours with four Toronto Sun Reader's Choice Awards. For the third year in a row, the Nottawasaga Resort has been awarded the Gold Award for Favourite Ontario Resort! Also receiving honours, the Centre Ice Sportsplex Arena, located at the Resort, has secured the Bronze Award for Favourite Recreational Hockey Arena. The Riverview Dining Room has found a home in the line-up of Toronto Sun Reader's Choice awards again this year with voters choosing the dining room as the Silver Award for Restaurant with a View and new this year Silver for Best Buffet. On Thursday, November 29, 2012, Nottawasaga Resort will welcome Christine Marshall, one of Canada's foremost wildlife artists, for an art show and sale. Christine Marshall has been painting for over 35 years, specializing in acrylic on canvas and wildlife and nature paintings. Her "Romantic Realist" styled paintings have captured the imaginations of animal lovers from coast to coast. Through her paintings, she brings the viewer to an emotional interlude where they can truly become one with the animals she paints. Ms. Marshall will be displaying her work in the lobby of the Nottawasaga Resort from November 29 – December 2. Come out and meet Christine and watch her paint on location. 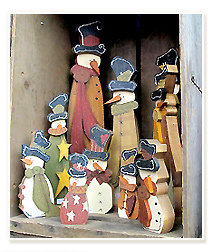 This is a perfect opportunity to stop by and to browse Ms. Marshall's artwork or shop for the art lover on your list. To view the event poster click here. For more information on Christine Marshall please visit her website. The Nottawasaga Resort is pleased to announce that the 29th Annual Sugar Plum Fair Craft Show & Sale, which took place on Saturday November 10th and Sunday November 11th, was the place to be this Christmas season! Over 6,100 visitors attended the two day show to shop the many unique handmade products that the 108 vendors had for sale. Thank you to all our vendors and the shoppers who came out to join us! We look forward to seeing you next year. To view photos from this year's show please visit our flickr album. 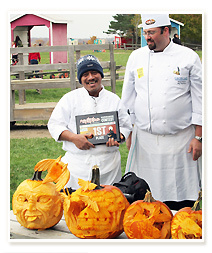 The Nottawasaga Resort's very own Chef Rudy took top prize at the International Chef's Day Carving Competition hosted this year at Chappell Farm's Pumpkinpalooza. The competitors had 90 minutes to sculpt their artistic pumpkin masterpieces with top prizes being awarded for "Best Overall", "Most Creative" and "Crowd Favourite". Congratulations Rudy! Click to view the footage of the event courtesy of CTV Barrie. 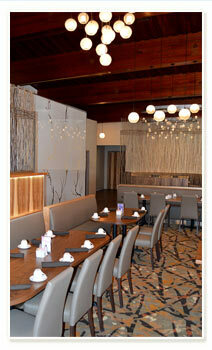 The Nottawasaga Inn Resort played host of two different photoshoots done by Chloe Magazine this past summer. 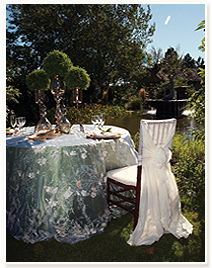 The one, a wedding décor session, which was shot in the beautiful wedding gardens, Inn Café, and ballrooms. As well as a fashion adventure photoshoot in the Nottawasaga's Jungle Quest mini putt. Click here to view the online photos of the wedding décor photoshoot or click here to view the fashion photo session. 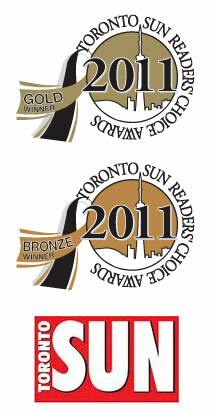 Voting is now open for the Toronto Sun's annual Readers Choice Awards and we need your help! Vote for us for in the Restaurant with a View, Ontario Resort and Rec Hockey Arena categories and help us show readers that our facilities are truly some of the best out there. You could win $1,000 by filling out the survey! Don't miss out on this opportunity. Voting closes September 15, 2012. Vote today! The Nottawasaga Inn Resort & Conference Centre has come a long way since its humble beginnings 44 years ago. The resort, located east of Alliston on Highway 89, was created by local resident Lou Biffis, who continues to operate the business with his family. The inn opened its doors in 1968 with 40 guest rooms, a dining room, a coffee shop and one banquet room. A central Ontario getaway since 1968, the Nottawasaga Inn Resort embodies both classic and contemporary elements. Located on the Nottawasaga River in Alliston, it is an ideal environment for those who seek adventure and tranquility. Today at a ceremony held at the Nottawasaga Resort, fourteen outstanding local citizens have been awarded the Queen Elizabeth II Diamond Jubilee Medal for dedicated services to their peers, their community and to Canada. Joining Simcoe-Grey MPP Jim Wilson for the presentation of the medals was Canada’s most decorated citizen, Major-General Richard Rohmer. Our very own Lou Biffis was honoured for his contribution as an entrepreneur in the hospitality and tourism industry, and for his involvement in the charitable efforts of the Nottawasaga Foundation. Congratulations to all the recipients! Click to view a slideshow of the event. 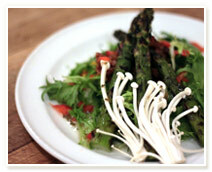 In recent years we've seen a very interesting food trend surface through the adoption of an eat local philosophy. 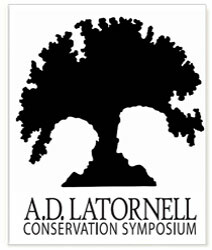 There are so many benefits to eating locally – fresher food, support for the local economy and the opportunity to make a connection with the farmer who is growing what you're eating – that it's not difficult to understand why people are becoming more invested in learning about where the food they eat is coming from. We're delighted to announce that we have won the 2012 Business Excellence Award from Nottawasaga Futures at the Fifteenth Annual South Simcoe Business Excellence Awards. The Business Excellence Award honours a recognized, established, mature, business that has contributed significantly to the economic development of the community through its growth and community involvement with a key focus is on long term success, continuous improvement and customer satisfaction. The evening was hosted by the Town of Bradford West Gwillimbury, in partnership with Nottawasaga Futures. 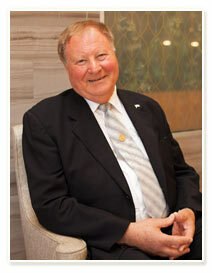 Lou Biffis is a pillar of the community and a businessman with vision and determination. He has spent almost half a century building Alliston's Nottawasaga Resort into one of the premier resort convention destinations in Ontario, if not all of Canada. Biffis looks back at his life and shares a few of the things of which he is most proud. As announced this morning in the Toronto Sun, the Nottawasaga Resort has again taken top honours with three Toronto Sun Reader's Choice Awards. For the second year in a row, the Nottawasaga Resort has been awarded the Gold Award for Favourite Ontario Resort, beating out Great Wolf Lodge and Blue Mountain for the top position. The Centre Ice Sportsplex Arena, located at the Resort, has also secured the Gold Award for Favourite Recreational Hockey Arena. New this year, the Riverview Dining Room has found a home in the line-up of Toronto Sun Reader's Choice awards, with voters choosing the dining room as the Bronze Award for Restaurant with a View. We've drawn the winning name and it's Jennifer King from London, Ontario! She is the recipient of a Deluxe Getaway Retreat package (for her and a guest) and a $200 shopping spree at the Cookstown Outlet Mall. Congratulations Jennifer! 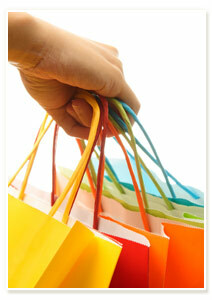 Follow us on Twitter and Facebook for more contests or sign up for our email newsletter. 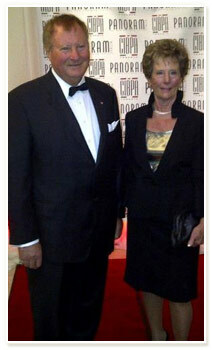 Today Nottawasaga Resort President and Founder Lou Biffis was honoured by the Canadian Italian Business and Professional Association (CIBPA) with a Business Excellence Award for his outstanding accomplishment and contribution to the Canadian Italian community at the 59th Annual President’s Ball. The CIBPA of Toronto is a non-profit organization, established in 1952 and has become known as the premier organization of its kind, representing the best interests of the Canadian-Italian community while offering countless avenues for business and professional development. Click to view the congratulatory letter from the Prime Minister of Canada and CIBPA press release. 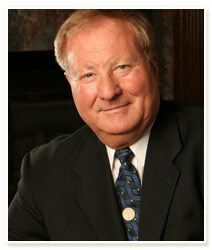 Click here to view a video of an interview of Mr.Biffis and CIBPA. Canada's men's national team enjoyed a second day of training in Alliston, ON this Tuesday morning at the Nottawasaga Inn. 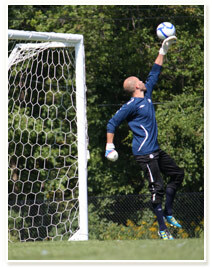 The team trained for 90-plus minutes before the lunch hour at the all-in-one location just north of Toronto. The 30 August session was part of the team's preparations for the Friday 2 September FIFA World Cup Qualifiers match at BMO Field in Toronto. 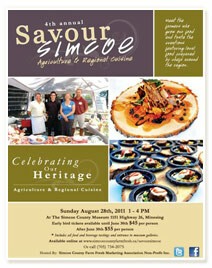 A culinary event showcasing the quality food and those who grow and produce it in Simcoe County prepared by the finest chefs in the County. Our Chef James will be paired with Black Angus Farm-Gate and will utilizing smoked beef shank, franks and more! 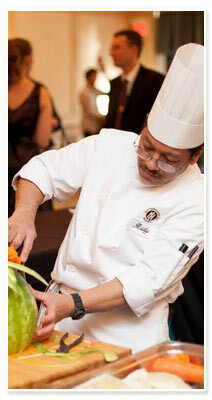 Click here to view our photostream featuring our fabulous team of chefs and creations from the event as well as being highlighted in the Barrie Examiner. 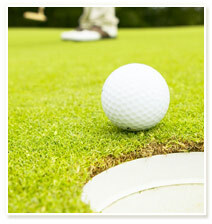 Calling All Golfers - Vote Today! Ontario Golf Magazine is holding a survey of the top 100 golf courses in the province and both the Ridge and Nottawasaga Courses are listed! 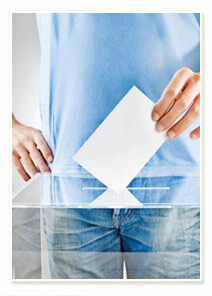 This year, voting has opened up to allow every golfer to participate. Don't miss out on this opportunity. 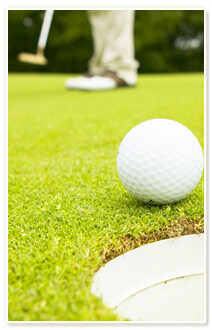 Help us show the golfers in Ontario that our courses are truly some of the best out there. 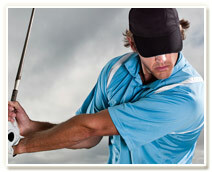 The results will be published in the Fall issue of Ontario Golf. Voting ends August 26. Vote today! The Nottawasaga Resort is proud to welcome the National Men's Rugby Team who will be training in preparation for the historic first-ever match at BMO Stadium this coming Saturday. The game, for all intents and purposes, begins the team's journey to New Zealand for the 2011 Rugby World Cup. TSN Sports was on site Monday for an exclusive photo shoot with the team.